Today is the last day in our toddler painting series. Boo hoo. Sob sob. There, there, no need to cry. I'm leaving you with my favorite painting technique of the week. 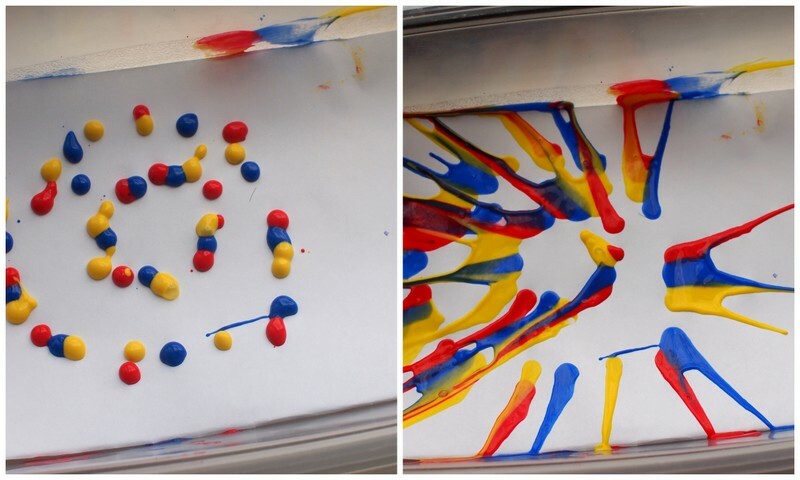 Now you can make spin art with Tupperware and coins! 2. Tape your paper inside the Tupperware container. 3. Add drops of paint. 4. Cover your container and spin it around and around. That's it! Open up your container and admire your lovely spin art.